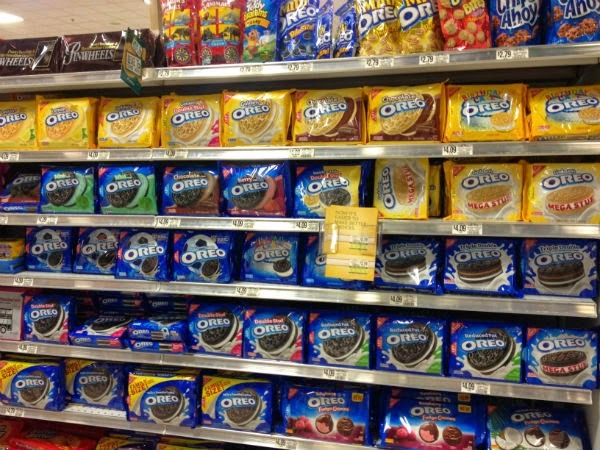 I love going to the grocery stores back home in the states.... Oreos Oreos everywhere! 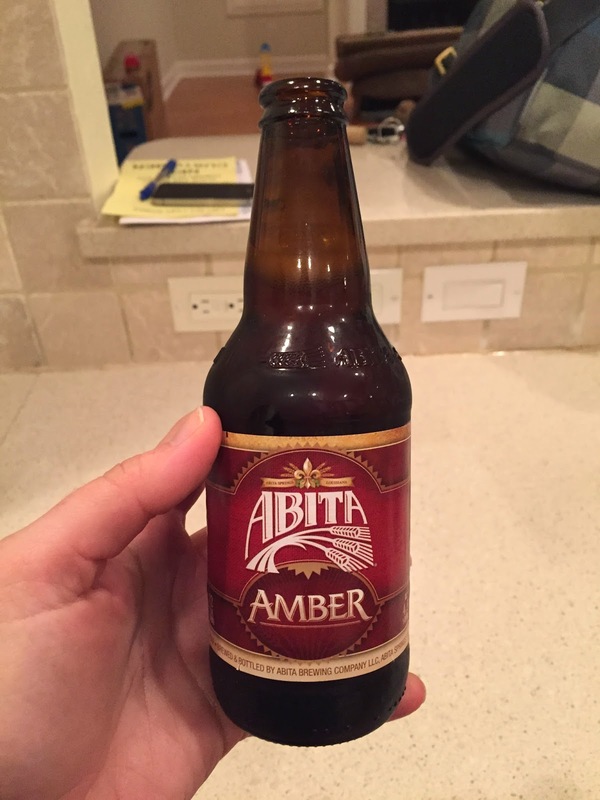 I missed the huge variety that we have here... it may be a tad unnecessary, but it is awesome. 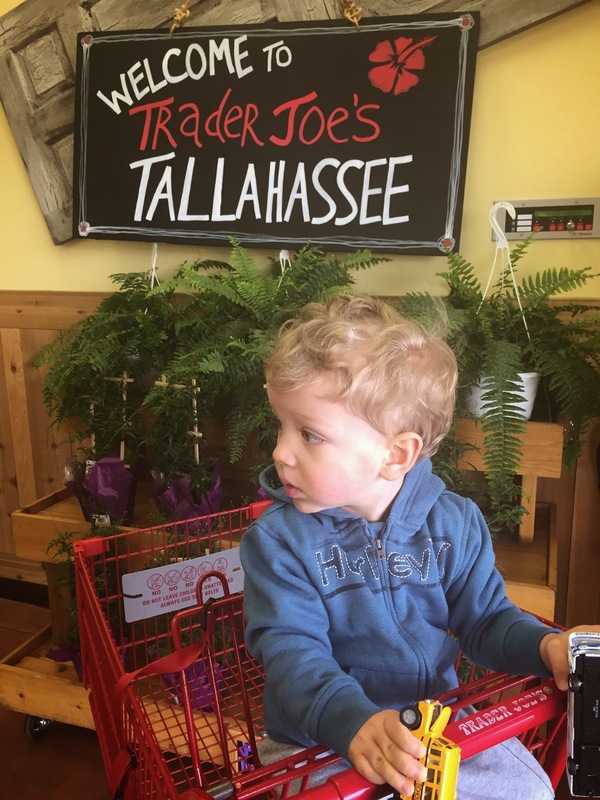 One of the first places we went to get groceries was Trader Joe's. I was ecstatic when I found out that there was one in Tallahassee. Of course I had to get a treat for myself. 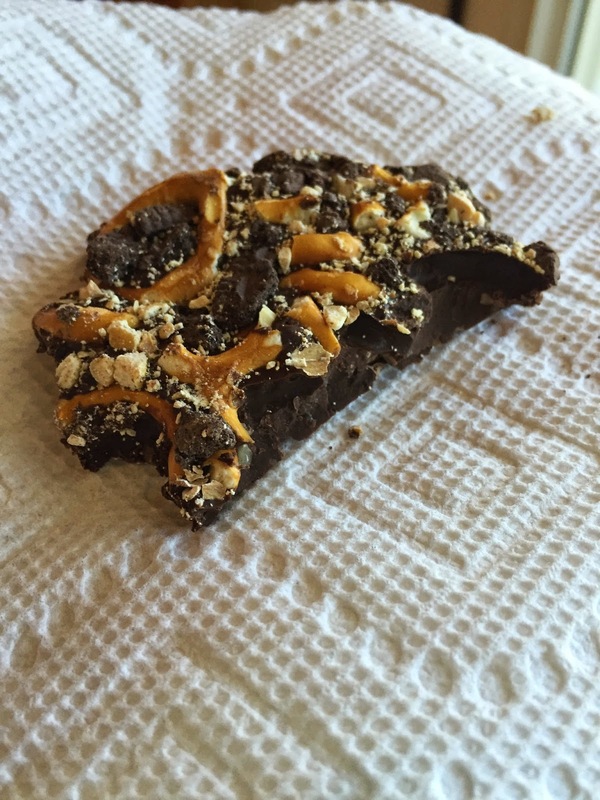 Cowboy Bark was calling my name! This stuff is sinfully delicious. 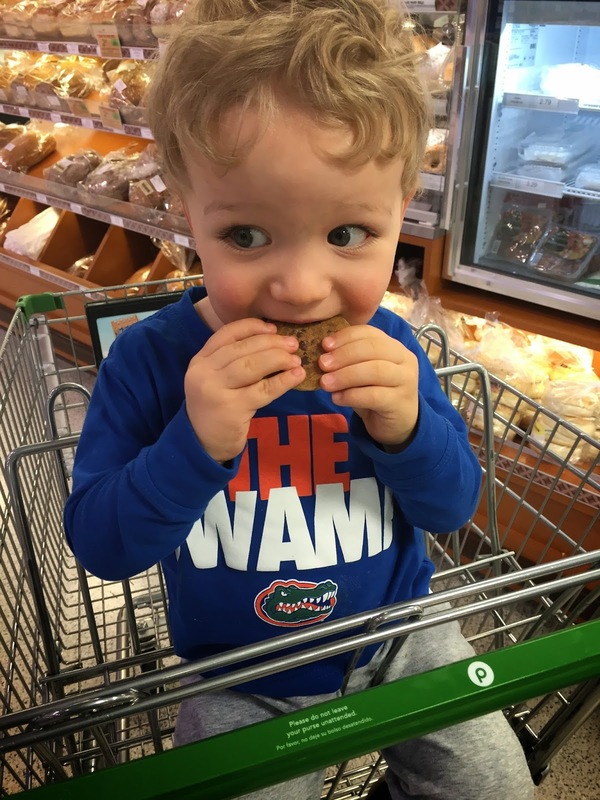 Wyatt had his first Publix cookie! He immediately gobbled it up and said "more". Have they made the cookies smaller over the years? But at least they still give these out to kids for free... just another reason to love Publix besides the subs. Move-in grocery shopping isn't complete without a trip to Costco! Wyatt had his "big doggie" along for the ride. That Ikea stuffed animal is now his favorite. We perused the aisles and ate lots of samples. Wyatt loved these organic veggie patties so we bought a pack. Of course as soon as I made one at home he didn't want it, haha. One of the best things about grocery stores in the U.S. vs. Ontario... buying wine and beer IN the supermarket! In the states it means bigger variety, lower prices, and super convenient. It's the American way! hehe. Plus, this mama needs her happy hour after a long day. 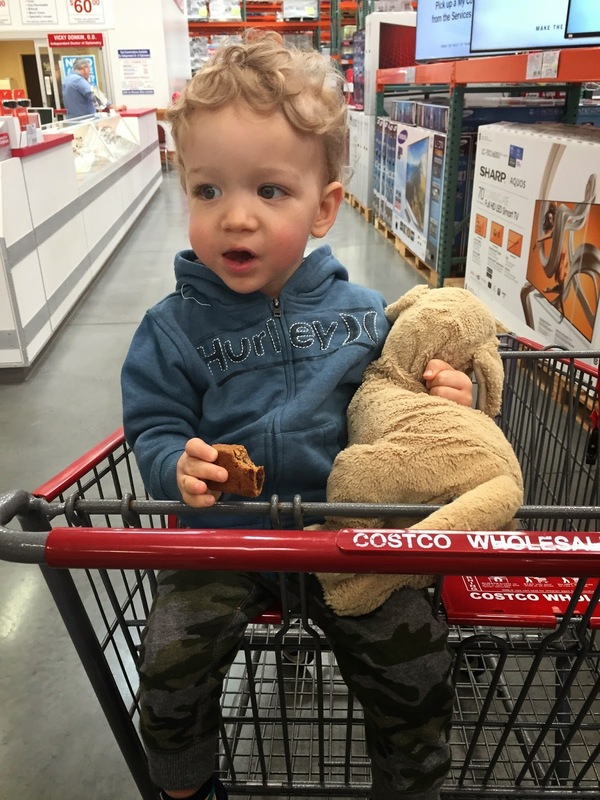 What are your fave finds at TJ's or Costco? In Minnesota, you still can't buy full-strength beer or wine in the supermarket. Different states have different laws. But welcome back to the US! I love grocery shopping, it's my zen time. I can't leave TJ's without some kind of unique snack, and I can't leave Costco without ALLTHEFRUITSANDVEGGIES because bulk is always better. No TJ's or Costco near me. :( Maybe someday! We still don't have a Trader Joe's here in Memphis. :( But we do have Whole Foods which is at least something. :) And I love Costco!